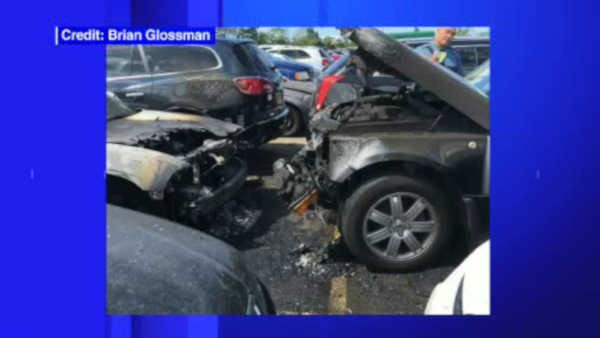 EAST RUTHERFORD, New Jersey (WABC) -- Police say hot coals apparently left in the parking lot by a tailgater sparked a fire at the start of Sunday's Jets game. The fire damaged six vehicles - three of them so badly they had to be towed away. Most of the fans were already in the stadium at the time.